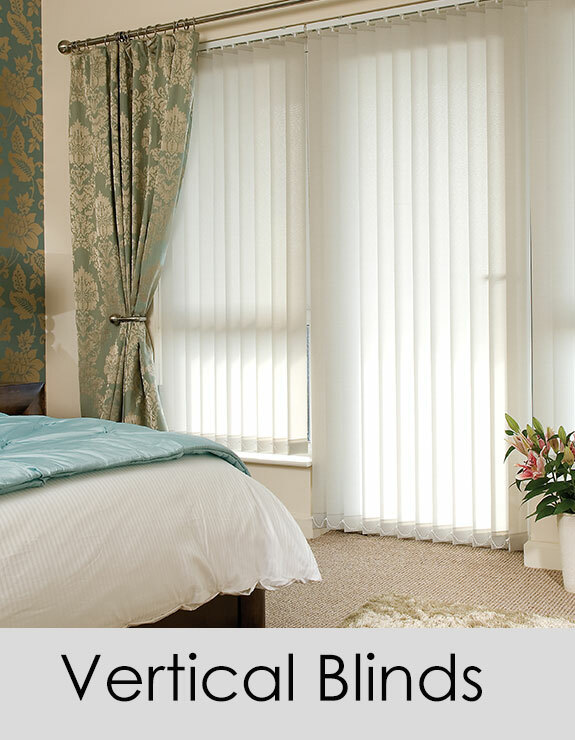 Vertical Blinds add style and versatility to any window. 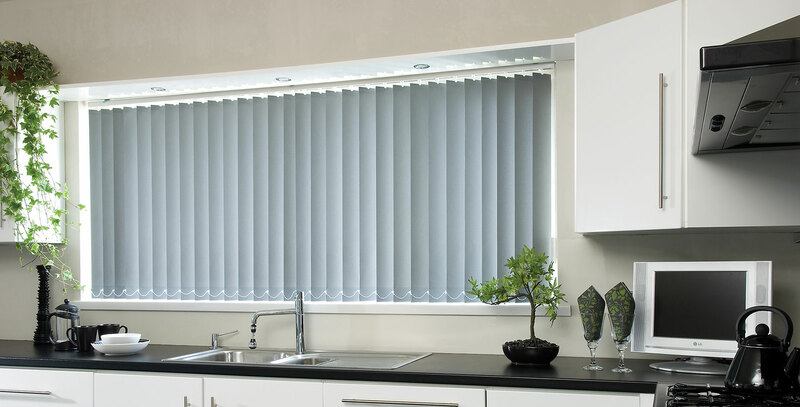 Designed for modern living and available in a wide variety of fabrics and colours. The tracks can either be straight or curved to go around Bay windows or into Arched windows. Choose from hard wearing Rigid PVC drapes with no weights or chains. Performance fabrics for solar protection. Dim out and flame retardant fabrics for bedrooms, kitchens, office and computer areas. We have a range of over 300 designs from a variety of fabrics including Plains, Jacquards and Patterns in either neuturals, pastels and vibrant colours. We make sure that we secure all hanging cords and chains which pose a risk to young children and vulnerable people who could injure themselves on the hanging loop cords. We can supply a 'wand' control which draws and tilts the slats or we can even motorise the blind. We also have the option of Sealed Bottom Pockets (SBP) where the bottom weight is ultrasonically sealed into the bottom of each slat therefore eliminating the need for traditional weights and chains.